What use is this to IK?... We're not sure yet - but he seems extremely happy to be receiving it. 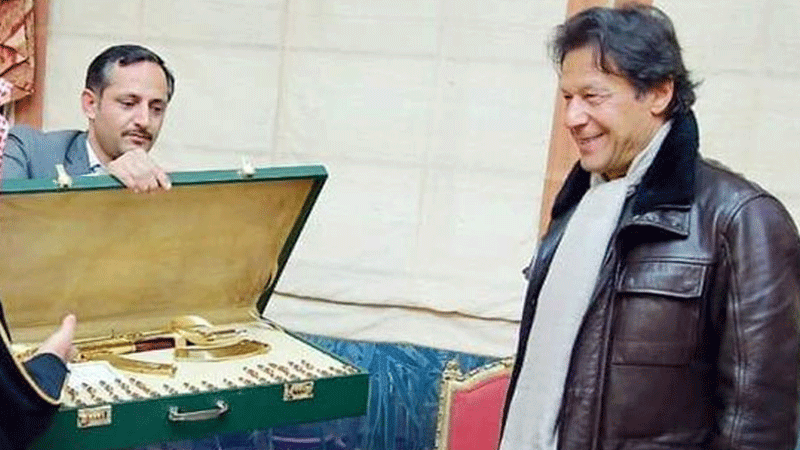 However, we're at odds with this choice of present and feel the PM could've been given a more 'thoughtful' gift, because really, Imran Khan is a man of simple taste. 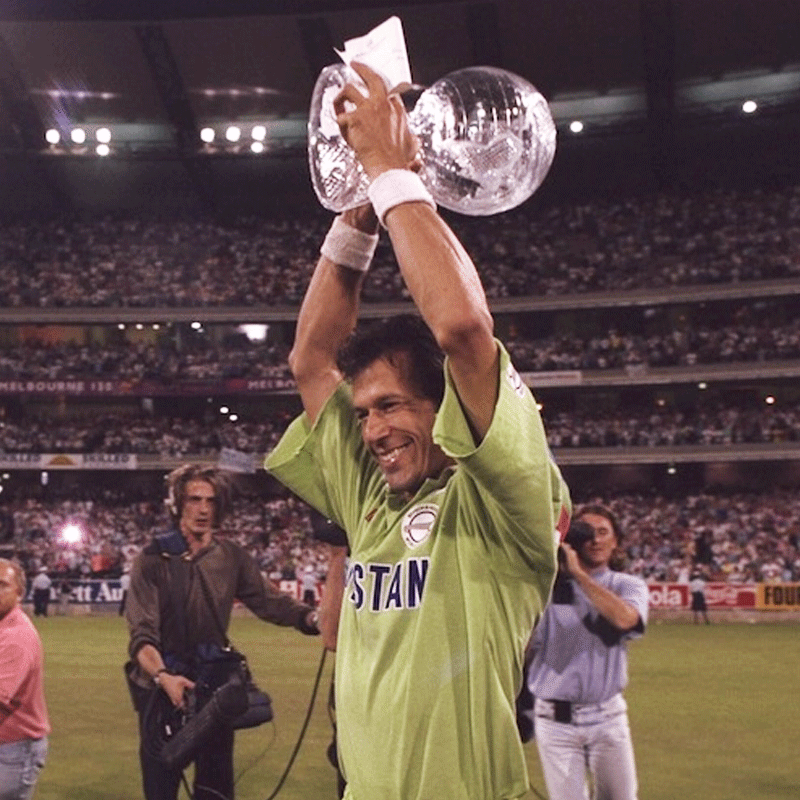 Let's be real, Imran Khan's 1992 World Cup win is something Insaafiyans cannot stop bragging about - and neither can he. Ask any PTI supporter why IK is best suited for his role as PM and they'll argue that he won us the World Cup... in the early 90s... which really isn't the same as running the country BUT it's still a win and this way at least Imran gets to brag about it while also showing it off in gold! We all have our favourites, Nawaz loves paye, Imran loves chicken, what better way to win the PM's heart than a free lifetime supply of broasted chicken from the one restaurant Saudi Arabia is known for? The Prime Minister loves to exercise, we know because he's shown us, over and over and over again. 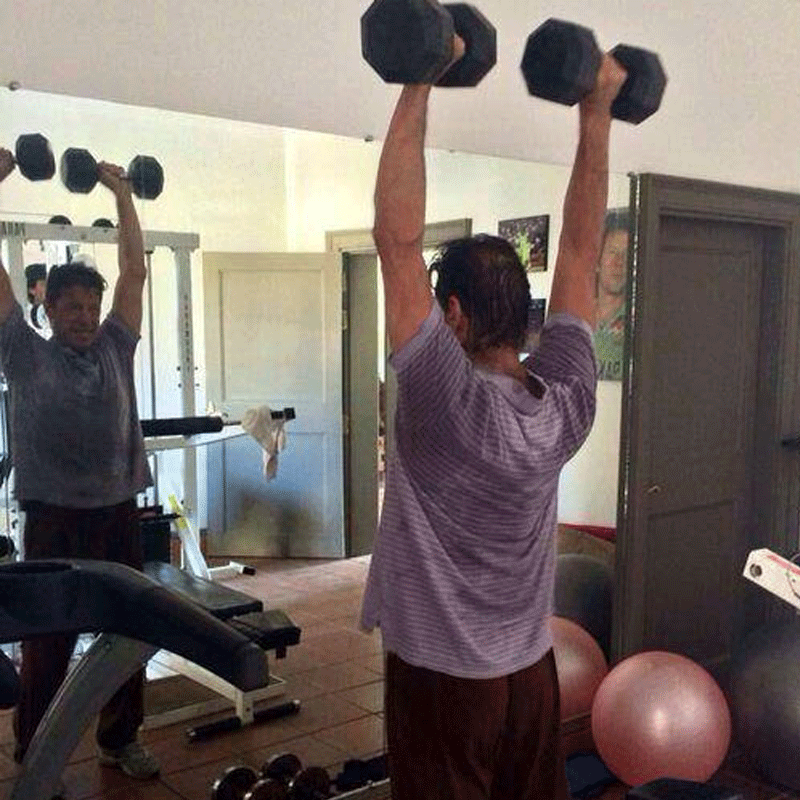 A pair of gold dumbbells would've proved to IK that he's really, truly cared for. 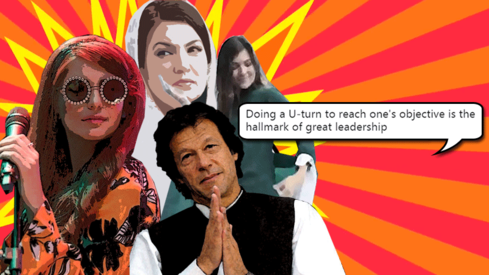 Nothing speaks volumes of love (for IK) than donating money towards his dam fund. Although the KSA has already donated Rs62 million towards it, it would've made up for the remaining population of our country that lives below poverty line - also not every expat can afford to donate $1000 or every Pakistani, Rs10. This article is categorised as humour/satire. Its content is not meant to be read literally. "Man With The Golden Gun"! And, this is symbolic more for Pak Forces geostrategic successful actions! I dint find it funny though. You can not be choosy on gifts. Super funny indeed! A good read! Only Saudies will make gifts like this. He should sell it and put it on the Dam fund. A gun in the gold cannot bring peace. PM should have refused to accept. Didn't quite get the point of the article. A golden dove would have been better, as sign of peace. A gift is a gift. It is a token of friendship. What good is a Sindhi ajrak, or a medal of bravery etc either? It is a gift of appreciation or friendship etc. You just accept the gift. Gold dumbbells will be the best I guess. He can afford one made of gold, why gold plated? You forgot an apartment in London under the name of his sister. @rehan I agree, It should be auctioned publicly and the proceeds will be given to the Dam fund. Auction this gift to raise funds for the dam. At least it wasn't a gold toilet that another prince gave it to her daughter on her wedding!! 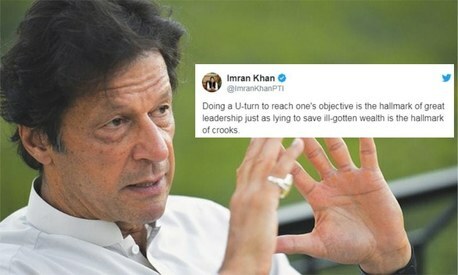 In return they will get permit for hunting which IK was opposed when he was in opposition. What about a golden 'U'? This gift Reflects the thinking and the mind of saudis..
You've missed "a pair of Peshawari chappal" stitched with golden thread!!! Talk about small mercies! It could have have been a gold-plated bone-saw. A gold plated sewing machine perhaps? Looks like IK just woke up from his sleep and could not find his hair brush. So a hair brush maybe? You will never find any non Muslim country head giving a gun as gift to another non Muslim country head.. I thought satire was supposed to be funny. No? What about a golden hair dye rather than the black one has using now. Or a new hair transplant ? 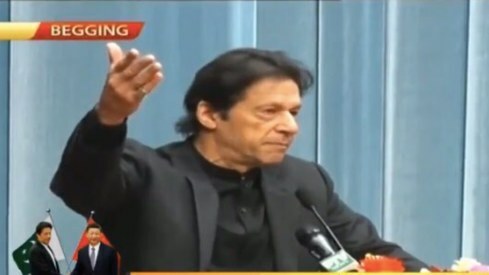 PM Imran Khan greatest PM in the history of Pakistan and rest of the world. EVERY body love him. He is doing greatest job in the parliament of Pakistan for the poorest people. Inshallah he will be continues ruling Pakistan next 30 years.